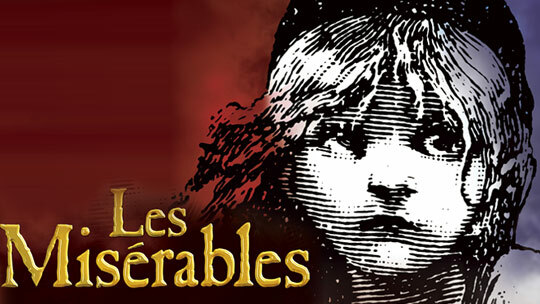 CRIME, GUNS, AND VIDEOTAPE: Les Miserables, the Musical is coming to the Big Screen! Les Miserables, the Musical is coming to the Big Screen! Los Angeles, CA—Les Miserables is a book written by the late Victor Hugo. This classic novel was published during our own Civil War. It’s about 19 years of events and a political climate that ended in an insurrection in in France in 1832. The story unfolds around, a man Jean Valjean who burglarized a bakery for a loaf of bread. Times were tough for this man who was arrested and imprisoned at hard labor. His five-year sentence was lengthened considerably after numerous failed escape attempts. Valjean is finally released and briefly returns to crime breaking parole. Soon Valjean sees the error of his ways and established a new identity and undergoes a dramatic change for the better managing to become a wealthy manufacturer and benevolent town mayor. Along the way Valjean winds up with a victimized and orphaned little girl, Cozette to care for and to raise as his own. In the middle of this mess a revolution is going on and all Hell breaks loose. All the while, the dedicated policeman, Javert, is relentlessly hunting down Valjean like a rat. Valjean is discovered after an accident. There is a cast of rich characters with their own tragic tales that all unfold in this sad story. It is a literary masterpiece that has been retold many times in film and in the theater. In 1985, producer Cameron Mackintosh along with director Trevor Nunn and John Caird adapted the story into a terrific and wildly successful musical. Claude-Michel Schönberg composed the music, and Alain Boublil wrote the libretto. Sacha Baron Cohen and Helena Bonham Carter, as Monsieur and Madame Thendardier! Looking forward to this. I loved the first half of fhe book, but there were too many french surnames to sort out in the second half to be a pleasant read. Hope they stay faithful to both the book, and the musical, and keep the tale of redemption through works without losing the light of hope.